HYATTSVILLE, MD--(Marketwired - Mar 21, 2014) - Conference space that's uniquely immersed in art -- from Balinese woodblock prints to oil on canvas and bronze sculptures by noted Maryland artists -- provides a creative, productive atmosphere for modern business meetings at the newly renovated College Park Marriott Hotel and Conference Center. With four formal art galleries and more than 500 original works of art, showcasing and nurturing creativity was a primary goal as designers fashioned new pre-function space, meeting rooms, ballrooms and guest rooms that encapsulate the global, social style of today's group events. "Art is inspiring and educational. It really changes the atmosphere of meeting space," says Eric Key, director of the Arts Program at the University of Maryland University College (UMUC), which owns the hotel and the extensive art collection within its walls. "We want to not only expose people to art, but cultivate an environment that will spearhead creative thinking and positive attitude." Guests are surrounded by art pulled from UMUC's 2,600-piece collection throughout College Park Marriott, which recently changed its name from Marriott Inn and Conference Center UMUC to reflect the hotel's yearlong transformation. The project included a new 6,700 sq.-ft. Potomac Ballroom with 2,000 sq. ft. of private pre-function space, restyled 8,200 sq.-ft. Chesapeake Ballroom,18 redecorated meeting rooms and a new conference dining room. The hotel's new facilities are perfect for wedding receptions, business gatherings, parties, conferences or reunions. 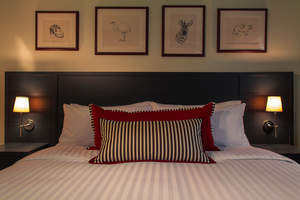 The hotel also introduced The Common restaurant and pub, Marriott Hotels Greatroom and updated business and fitness centers. Four namesake galleries feature noted Maryland artists Gladys Goldstein, Herman Maril, Selma Oppenheimer and Joseph Sheppard, with diverse works that include paintings, sculptures and mixed media with candy wrappers. Meeting wings and the lobby showcase the Doris Patz Collection of Maryland Artists and Asian Art Collection with decorative snuff bottles and ancient Chinese scrolls and pottery dating from the Han Dynasty (206 BC to 220 AD). Guests can meet informally, relax and enjoy a cocktail or specialty coffee in the new Marriott Hotels Greatroom surrounded by 75 pieces of art. 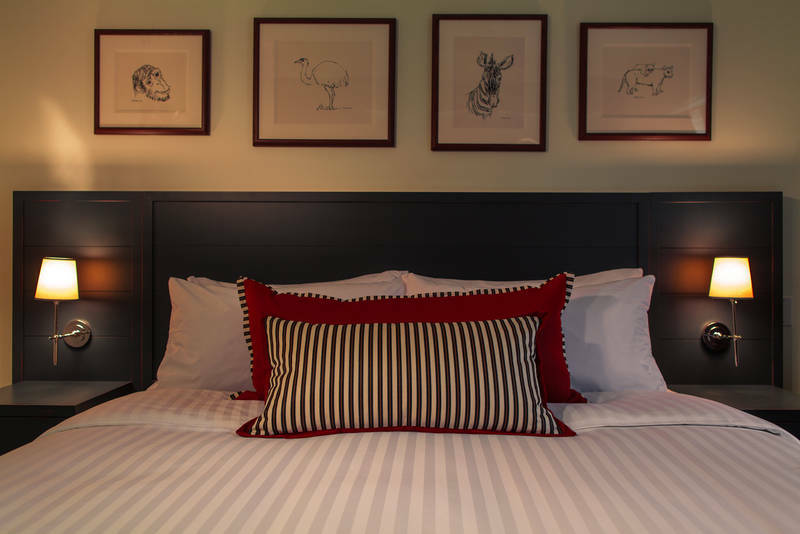 Prints of original works are part of the sophisticated palette in restyled guest rooms. For organizers who want to add group outings to their events, a wealth of cultural arts exists just outside the hotel. College Park Marriott provides complimentary shuttle service, restaurant discounts and overnight packages to Clarice Smith Performing Arts Center ticket holders. The Gateway Arts District of Prince George's County is located within 1 mile. The College Park Marriott Hotel and Conference Center boasts 237 relaxing guest rooms, LEED certification and a convenient location at 3501 University Boulevard East in Hyattsville, Md., on the University College campus, adjacent to the University of Maryland and near the U.S. Food and Drug Administration's White Oak campus and metro Washington, D.C. For reservations and more information, visit www.marriott.com/wasum or call 301-985-7300. With 500 hotels and resorts in nearly 60 countries around the world, Marriott Hotels is evolving travel through every aspect of the guest's stay, enabling the next generation to Travel Brilliantly. Boldly transforming itself for mobile and global travelers who blend work and play, Marriott leads the industry with innovations, including the Greatroom Lobby, Future of Meetings and Mobile Guest Services that elevates style & design and technology. All Marriott hotels participate in the award-winning Marriott Rewards frequent travel program that allows members to earn hotel points or airline miles for every dollar spent during each stay. For more information, visit www.MarriottHotels.com. To join the ongoing Marriott conversation, like us on Facebook (Facebook.com/Marriott) and follow us on Twitter (Twitter.com/Marriott, @Marriott).